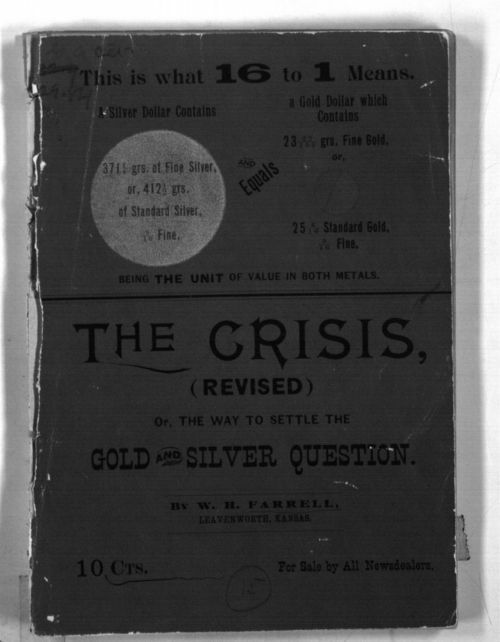 W. H. Farrell of Leavenworth, Kansas, wrote this to support William Jennings Bryan's campaign for president and to explain how the unlimited coinage of silver would aid workers. This pamphlet presents a fairly clear argument of why Populists wanted "free silver." Bryan was running as a Democrat but the Populists were supporting him.